Before anybody could realize the Meitei Mayek script now prevalently taught in all schools and colleges in the state has caused a decisive schism apart from a headache peculiar to the Meitei Mayek issue so much alive in Manipur but not really amounting to anything very important in terms of its educational and cognitive worth that could be discussed although such a discussion is now unavoidable considering the futility of this language as practicable linguistically, phonetically and other factors relevant to education and a syllabus for promoting that education as a subject under the state educational board governing schools and college education. The fact of the matter is that the script is an archaic one and it would have been impossible to trace or know when precisely the written scripts available for this language were lost as is likely must have happened even if it could be reasoned out in a hypothetical situation proving that the language is and has been only a spoken language as far back as the origin could be known. Without sufficient available texts like literature, or any codified written evidence the language would not deserve the status of a written script that is supported only by a 26-letter alphabet, as is prescribed under the schools education syllabus. To put it in layman’s language A,B,C,D….etc., A to Z alphabets only and that only, would be the Meitei Mayek’s claim to knowing all subjects and that is an absurd claim; something that does not exist in reality – a wild dream that has run amock and caused dissension in how different groups on the matter would view the ongoings in setting of syllabus and much earlier in the introduction of this subject as a language that is projected as being able to explain everything related to Manipur, something not relevant in schools and college education anyway and something that students would not be expected to know as a part of schools and college education, but a fact that was the underlying factor at the time the issue was a compulsion on most of the educated and thoughtful people in the state and has now surfaced not only as a educational lacunae but also a matter that is expected to snowball in the way the syllabus was introduced by the state education authorities involved - to keep the debate alive - and further the appointments made, the regularization of pay scales for the concerned teachers – whose educational qualifications apart from knowing the Meitei Mayek script have always been in controversy for not meeting the standard requirements for appointment to state government jobs. 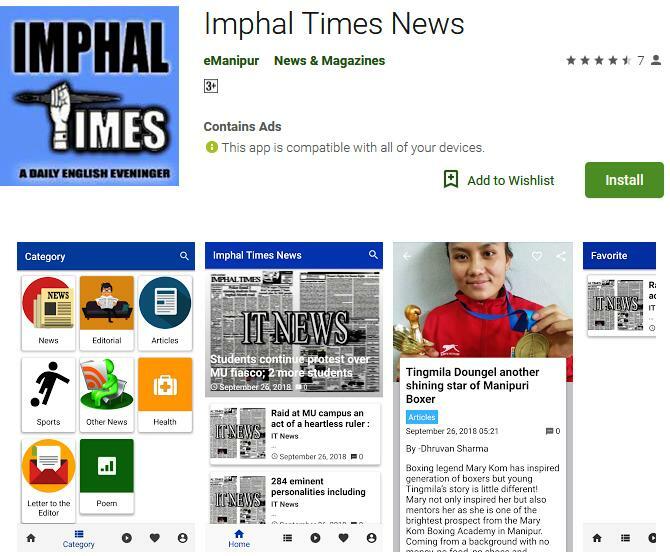 This being the facts that happened over the past decade or so concerning this subject the point that is now – at this moment – relevant is how much harm to Manipuri social conditions this move has caused, involving the secondary patenting of all newspapars, media, shops in Imphal valley, billboards for advertisements, and many other factors known or unseen yet, that do not have anything to do with the concern and the widespread promotion of a Manipur that was being projected forcefully at the time the Meitei Mayek activists were supposed to have claimed a major victory for the Meitei Mayek organizations and for Manipur itself – as the organizations together deemed correct. The situation now was not foreseen even by the casual bystanders who might have thought it was in fact a change that was coming. But was it really that – as is commonly being lived now. Is Meitei Mayek a haunt or the boon it was promised to be. Are children safe in the schools and colleges. A review committee is certainly called for if common wisdom should prevail.